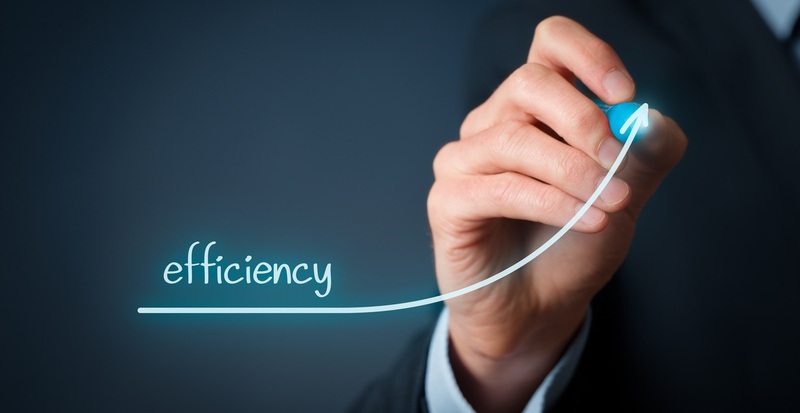 For many businesses – but particularly for smaller firms – boosting efficiency is an extremely important objective. Working in the most efficient way possible allows companies to achieve maximum productivity at minimum cost, so it’s understandable that this will be a key focus for many organisations going into 2018. There’s a lot to be said for knuckling down and committing to a dedicated period of hard work, but it’s important to know when your efforts cross the line into excessive work. If you are pushing yourself too hard and working until you are exhausted, the quality of the end result will suffer. Tiredness leads to sloppiness and silly mistakes. Allow yourself and everyone in your business to take regular breaks, and don’t be afraid to say that certain jobs can wait until another day. Anyone who has spent time working in a busy office environment will know how easy it is to get bogged down in time-consuming tasks that deliver a negligible final result. Think about your company’s core priorities and the key tasks and processes that deliver genuine value against these goals. Arranging your working methods and structuring projects around your key objectives will give the entire workforce a sense of clarity and purpose. Planning is important, but it’s easy for plans to become vague and impractical, particularly if they focus more on the long term than on everyday considerations. When arranging your workload, it can prove useful to take a short-term approach and come up with targets that are not only relevant to the business, but realistic in the chosen time frame. Coming up with plans that are detailed and structured can help you to organise your day and make sure you are gaining maximum benefit from your available time. Finding the right environment for you and your business is absolutely critical if you want to work with maximum efficiency. For office-based companies, it’s important to find a workplace that is suitable for the firm and its staff, with the right layout and the necessary tools and tech infrastructure to allow people to do their jobs. Furthermore, don’t underestimate how significant it can be to maintain a clean, orderly workspace where employees feel they can work comfortably. There is a seemingly endless range of technological tools and solutions available to businesses today, so make the most of them. From smartphone apps and cloud platforms that allow people to work on the move, to project management and videoconferencing software, the latest tech can help modern firms maximise productivity without losing control of costs. Businesses willing to rethink the way they operate and try new approaches this year could see major advantages, not only in terms of efficiency, but in employee engagement and workforce morale too.